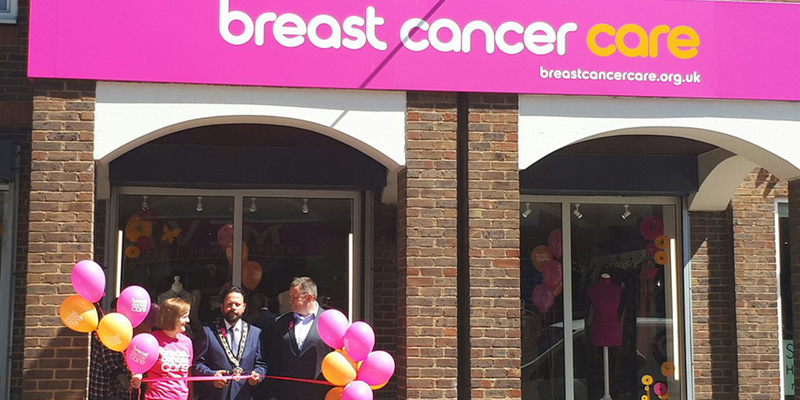 Cirka Creative has recently been providing creative charity store design services to Breast Cancer Care and Rieves Retail to bring the charities first ever shop to the high street in Leighton Buzzard. Cirka helped with all aspects of the charity store layout, retail store design, retail fixture and internal graphics and external store signage. Our creative designers worked with both brands to delivery an on brand, impactful presence whilst remaining easy to implement. The store is the first of a planned rollout with Cirka Creative, who is pleased to be retained as the projects creative resource. Read more on BCC plans here. “It’s wonderful to welcome the Breast Cancer Care charity shop to Leighton Buzzard! “The store looks great. It’s bright and has a boutique style – it’s not your typical charity shop and worth a visit when you’re in town. For more informations to donate or volunteer: here.